The thing I love about spring for little girls, ok - and me too, spring dresses, short sleeved t's in bright colors, shorts, no jackets, etc, etc, I could go on all day. These days with a new baby in tow, I don't get out much, but when I do I'm seeing tons of adorable matches to Monkey-Toes. I've decided that when I see these complimentary pieces I will snap a pic and show you, especially when it's a steal! So here goes - the first finds are at Target - and at the amazing price of $6! 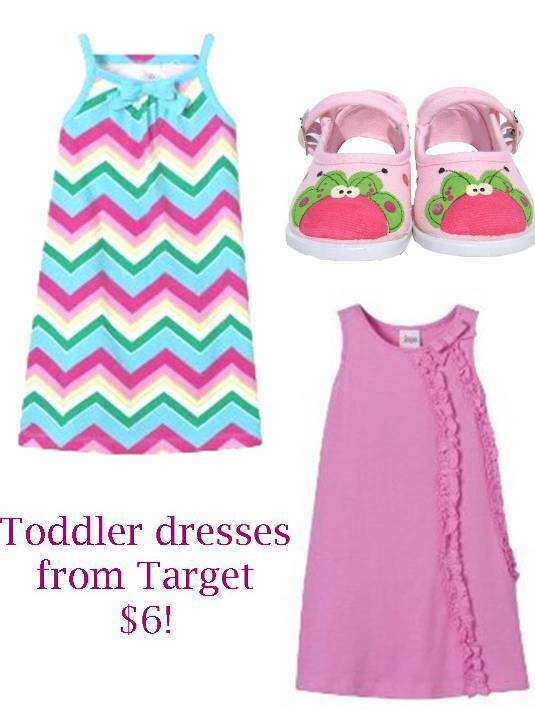 Both dresses are the Circo brand from Target. Instantly, when I saw the precious multi-colored stripe dress, I thought of the Flutterflies. Not into the stripes? Target had plenty of solids to choose from too. I chose the pink ruffle dress (of course) and thought the Flutteflies Mary Janes would add that touch of whimsy and color to spruce it up. And get this...only $6 each! 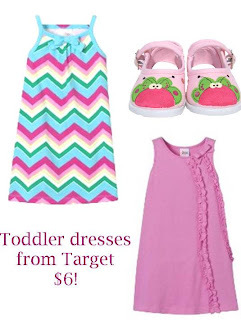 Both the dresses and the shoes could take any little princess through the summer in style...Sweet style that is! See something while you're out and about? You can email the pic to info (at) monkey-toes (dot) com and I will share it with our friends! Thank you Anna Mack!!! How's the kiosk?